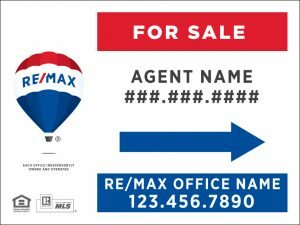 Re/Max Standard Directional Sign. 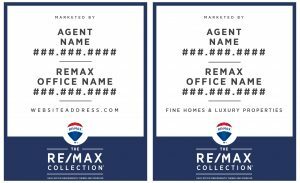 Dimensions: 24″ x 18″, Double Sided. 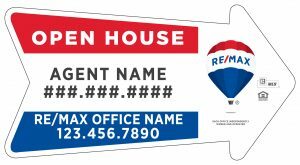 Re/Max House Directional Sign. 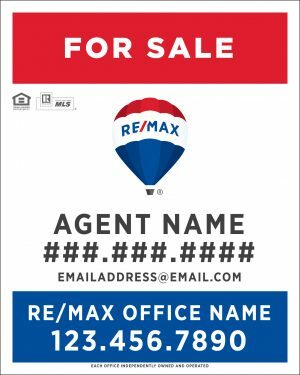 Dimensions: 24″ x 14″, Double Sided. 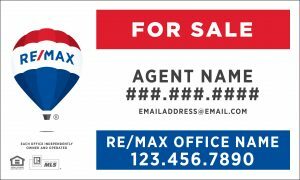 Re/Max Arrow Directional Signs. 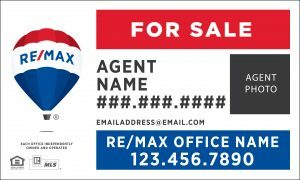 Dimensions: 30″ x 16″, Double Sided. 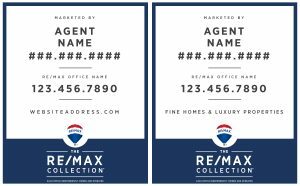 Re/Max 24×30 Collection Standard Sign. Double Sided. 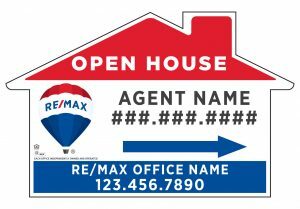 Customize with grommets or drill holes.